The cat bit the mouse's tail off. "Pray, puss, give me my tail." "No," says the cat, "I'll not give you your tail till you go to the cow and fetch me some milk." "Pray, Cow, give me milk, that I may give cat milk, that cat may give me my tail again." 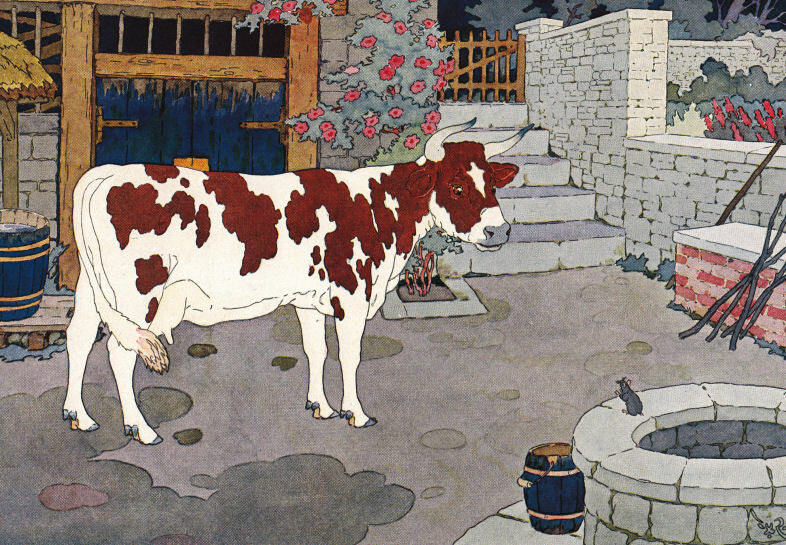 "No," said the cow, "I will give you no milk till you go to the farmer and get me some hay." 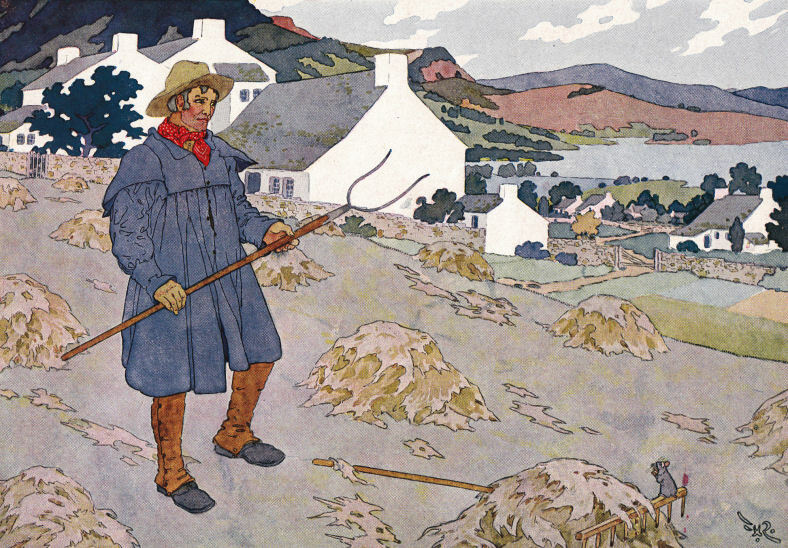 "No," says the farmer, "I'll give you no hay till you go to the butcher and fetch me some meat." "No," says the butcher, "I'll give you no meat till you go to the baker and fetch me some bread." Then the baker gave mouse bread, and mouse gave butcher bread, and butcher gave mouse meat, and mouse gave farmer meat, and farmer gave mouse hay, and mouse gave cow hay, and cow gave mouse milk, and mouse gave cat milk, and cat gave mouse her own tail again.